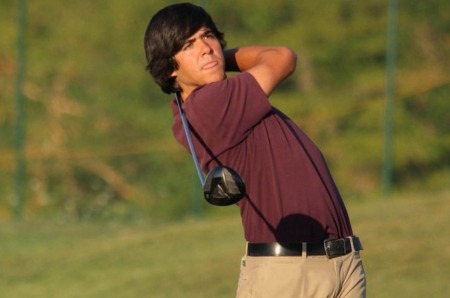 According to El Diario Montañes, the local paper in Santander, young Cantabrian golfer José Luis Guitérrez will play the young Seve in the movie, which is scheduled for release in April next year. Directed by documentary film-maker John-Paul Davidson, whose CV includes “Stephen Fry In America” and “Michael Palin’s New Europe,” the movie will focus on the early part of Seve’s life in Pedreña before going into archival footage of his sensational introduction to the world stage in the 1976 Open at Royal Birkdale and his stunning career, right up to his tragic loss to a brain tumour on 7 May 2011. In 2011, producer Stephen Evans told The Independent: “We’re dealing essentially with his youth from the age of 16 to 19. 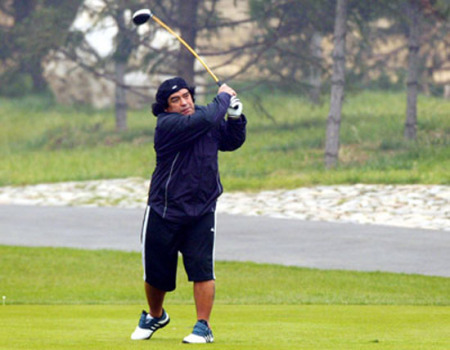 Unless you understand his youth, you’ll never understand Ballesteros and you’ll never give him the sympathy that he merits…. “If you understand his background, you’ll understand his fights and arguments with officialdom,” Evans said. Padraig Harrington has taken a three year step back with his career after slumping to his worst world ranking since 2006. Game Changer - A billboard at Glasgow Prestwick airport for Harrington's sponsors FTI.Just 12 months after scorching to third in the world by retaining the Claret Jug, the Dubliner is now 16th after his disappointing 65th place finish at Turnberry. And while he might be a cross between Bernhard Langer and Seve Ballesteros, the man who caddied for those major winning greats is not sure that Harrington is on the right track with his swing changes. English legend Peter Coleman said: “Whether it is right or wrong, I don’t know. At present it doesn’t look like it’s that good but the proof of the pudding is in the eating. Let’s see when he comes through to the other side. Javier Ballesteros in action. Picture by Fernando Herranz (El Mundo Deportivo)A picture is worth a thousand words and this image of Javier Ballesteros says it all. The 21-year old amateur made his debut in a pro event at the same course where his late father Seve took his first steps on the road to golfing immortality, Sant Cugat, 38 years ago. And the young law student did so brilliantly, dedicating his five under 65 to his father as he trailed first round leader Ivo Giner by just three strokes in the Alps Tour’s Peugeot Alps de Barcelona. 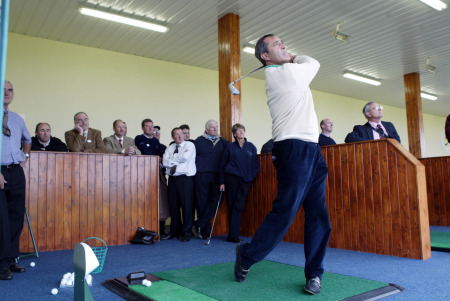 Irish golf unites with new "Confederation"